Let BCG Management protect your investments. Your inventory, furnishings and fixtures must be handled with care. Our highly trained, fully screened retail cleaning crews will clean your shelves, flooring and racks without disturbing the products you have so carefully displayed. With regular supervisor visits and accessible management, BCG Management will take the guess work out of your retail cleaning service. 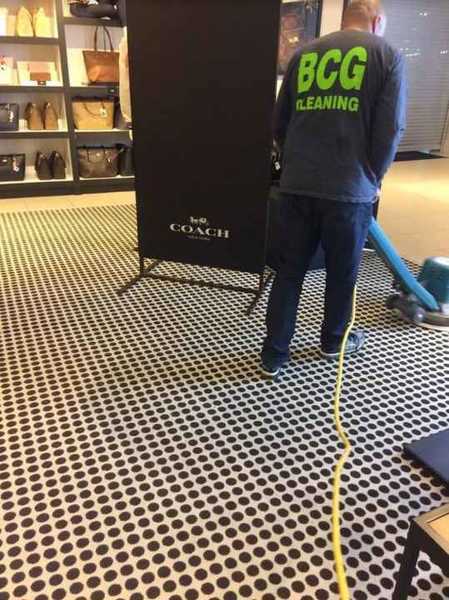 Give BCG Management a call for a free assessment of your store cleaning needs. We'll come up with a cleaning maintenance solution that will keep your establishment gleaming, while working within your budget.